dear self: another rough week. stay focused on your goals and you will be fine! you've been thinking of signing up for a 10K in September, just do it, hills or no hills…it will be fun! 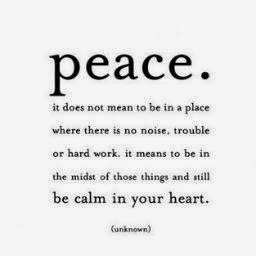 just remember being peaceful gives you power! also remember to be thankful for the things you have, there are so many families going through so much more than you. dear kayla: so proud of you…volunteering at a kid's camp this week. now to start up your baby sitting business! dear anthony: thank you for helping with driving this week! it was amazing! and you are super awesome! dear new running shoes: love you! can't wait to you get out on the road.